Strawberry Kush is a 75% Indica 25% Sativa hybrid Cannabis strain that produces large, colorful buds with a sweet sandlewood aroma.Quick to bud and mature, Strawberry Kush requires an average of just 55 days to achieve complete maturity, producing between 450 – 650 grams of dried, high quality buds per square meter. Pineapple Haze Marijuana is well-known for its uplifting, energetic high and positive effects.Containing a stable 70% Sativa and 30% Indica genes, Pineapple Haze seeds generate tall plants, averaging between 150 cm – 250 when fully mature. 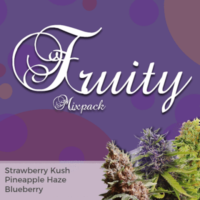 Get a Fruity seeds mix from 3 of the most popular fruity strains; Strawberry Kush, Pineapple Haze and Blueberry, all feminised and guaranteed to produce the highest quality female-only Cannabis plants. 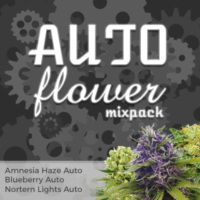 Choose between 9, 15 and 30 seed packs, with each packet containing the selected number of seeds for each strain. 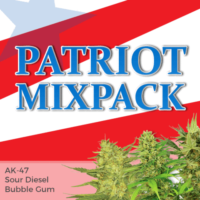 Growing times and yields vary, but every seed is guaranteed to germinate, producing the highest quality fruity Cannabis buds. Very tasty, fruity Cannabis with a blueberry taste and long-lasting flavour. Average flowering times produce good yields of dense, swollen buds. The even blend of Sativa and Indica genetics produce a powerful high andstrong body stone that leaves you feeling calm and relaxed. Tall, Sativa dominant plant with a longer flowering period produces heavy-weight, hard-hitting buds with a sweet, fruity Haze flavour and subtle aroma. Very cerebral, euphoric high that can be energising and creative, great day-time smoke. 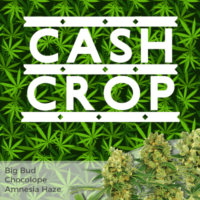 A compact, Indica dominant strain, easy to grow with impressive yields. Very short flowering time produces dense, compact buds with a fruity, berry flavour. Produces a euphoric high and relaxing body stone effect, perfect for both day and night-time use.